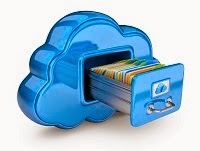 If you have read technology blogs, worked for a large company, or looked for a backup solution in the past 5 years, you will be familiar with the concept of cloud storage. It is a simple way to securely store and access your files from any computer or mobile device. Access files from anywhere – Easily open, edit and save files from any computer or mobile device. Send files to friends or customers – Sending files via email is now a thing of the past. Sending a link is a far easier option. Collaborate with colleagues in seconds – You can now edit and save files in one location with your colleagues and anybody can easily access the latest version of the file. Empachal Drive stands out against the competition by offering all of the above features as well as 1,000GBs of storage for a fee of £25 per year for personal usage.